This entry was posted in Uncategorized on October 24, 2018 by rcsacccess. This entry was posted in Uncategorized on September 9, 2018 by rcsacccess. Do join us also for our free taster session on Saturday 8th September followed by flashmob performance in Richmond station. This entry was posted in Uncategorized on August 27, 2018 by rcsacccess. Free Taster – suitable for all singers! 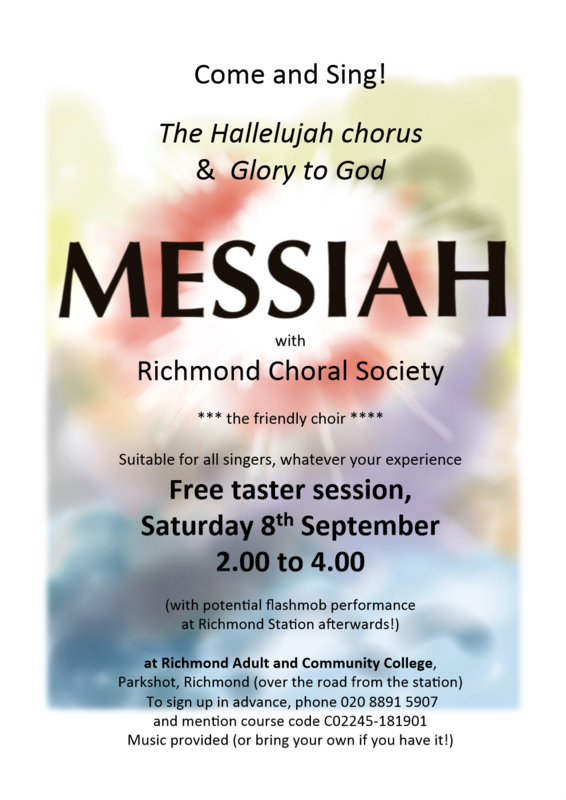 Come and sing the ‘Hallelujah chorus’ and ‘Glory to God’ with Richmond Choral Society on 8th September from 2pm. 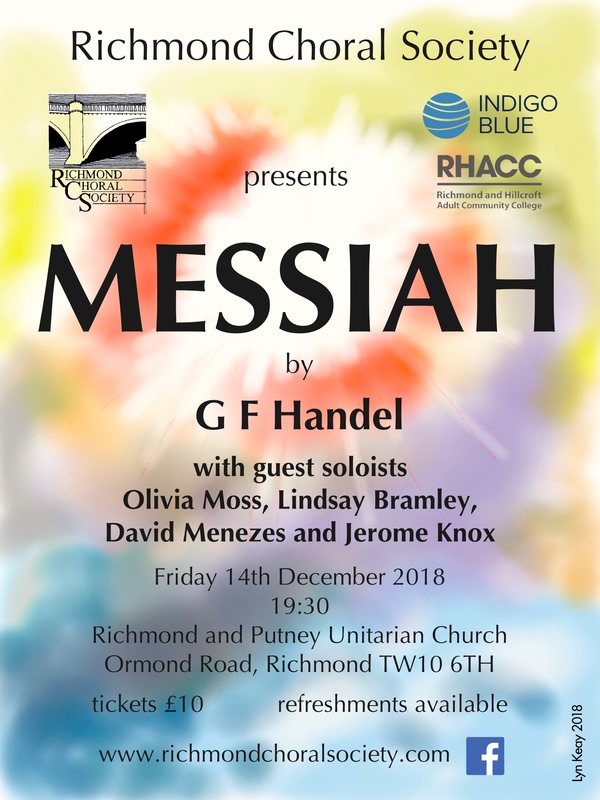 Whether you know Messiah well and love it, or you would like to have fun trying to remember it from years ago, or perhaps you’d like a gentle introduction to the joys of choral singing, this free session is for you! 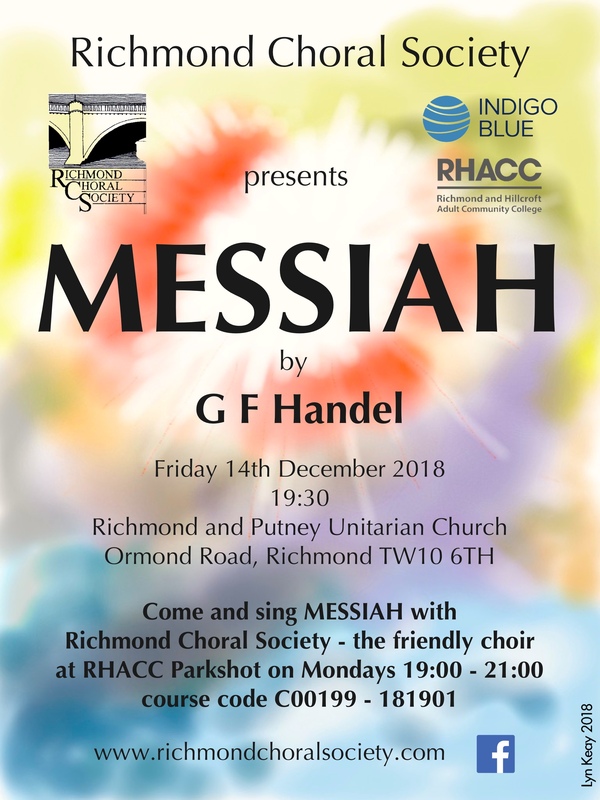 It will be informal, unhurried, and our choir is very friendly and welcoming. We’re going to try to organise an informal performance at the end (entirely optional) too! Please bring a score if you have one, but we will have plenty of copies to lend out. This entry was posted in Uncategorized on July 25, 2018 by rcsacccess.